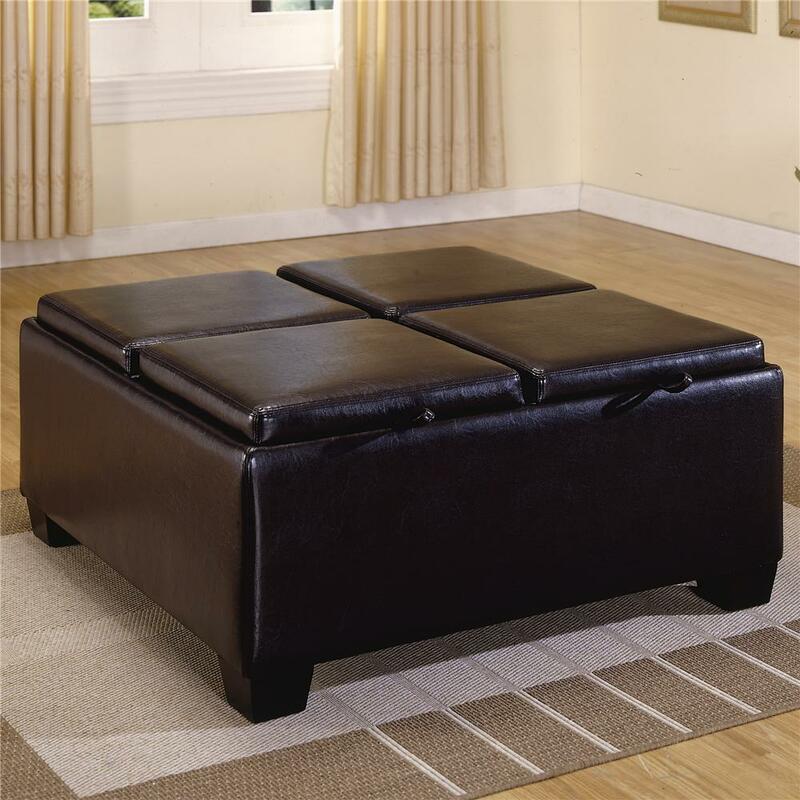 Center your living room around this functional upholstered ottoman or place it as an accent in any room of your home. This contemporary piece has four storage areas with removable covers that can be flipped over and used as coasters. 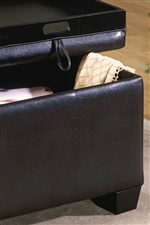 Keep blankets, games, and other household items in the spacious storage space. The clean straight lines create a contemporary piece that will add functionality to any home. 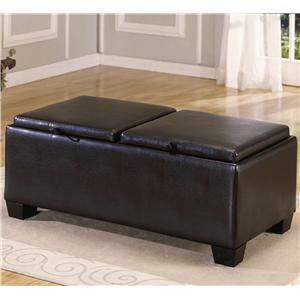 The 458-459 PVC Ottoman with 4 Storage/Covers by Homelegance at Value City Furniture in the New Jersey, NJ, Staten Island, Hoboken area. Product availability may vary. Contact us for the most current availability on this product. Center your living room around these functional upholstered ottomans or place them as an accent in any room of your home. These contemporary pieces feature storage areas with removable covers that can be flipped over and used as coasters. Keep blankets, games, and other household items in the spacious storage space. Clean straight lines highlight the contemporary style that will add a sophisticated look to any room in your home. Place these in your bedroom, living room, entry way, den, or any other place you need to add an accent along with storage space. The 458-459 collection is a great option if you are looking for Contemporary furniture in the New Jersey, NJ, Staten Island, Hoboken area. Browse other items in the 458-459 collection from Value City Furniture in the New Jersey, NJ, Staten Island, Hoboken area.